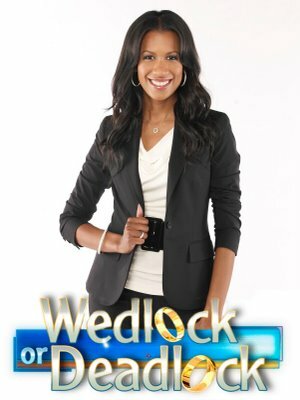 My wonderful and talented best friend Mark is the creator and Executive Producer of a new show called Wedlock or Deadlock. The show is based on a Divorce Court segment in which couples would get in-show counseling. In Wedlock or Deadlock, Dr. Michelle R. Callahan, psychologist and life coach, will determine whether struggling couples should marry or move on. In some cases, couples will tie the knot or break up right on the spot, says Bob Cook, president and COO of Twentieth Television." The last time Mark was in New York we went to dinner with the host, Dr. Michelle, and she is fantastic people! Click here to become a fan of Wedlock or Deadlock on Facebook and to watch a funny video with the hilarious comedy duo Frangela. They'll be sharing their opinion on the couples and marriage in general on the show!